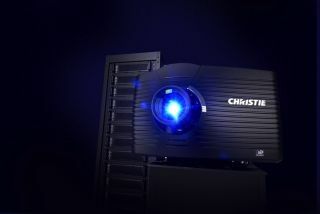 The What: The Christie D Series is one of the brightest single-lamp projectors on the market offering XGA, WXGA, and WUXGA high resolution. The What Else: The D Series features 6,000–8,000 lumen brightness, multiple lens options including the 0.38:1 ultra short throw lens, portrait or landscape operation, and third party control system integration with AMX and Crestron. The new Christie Connect option with Wireless USB option provides monitoring and collaboration capabilities in multi-user environments. Users also benefit from professional tools including HDRC-Liteloc for stunning images even as the lamp ages, and the new Advance Color Management system provides separate controls for hue, saturation, and luminance to create lifelike images.